Blue & Beige and a big furry bun. 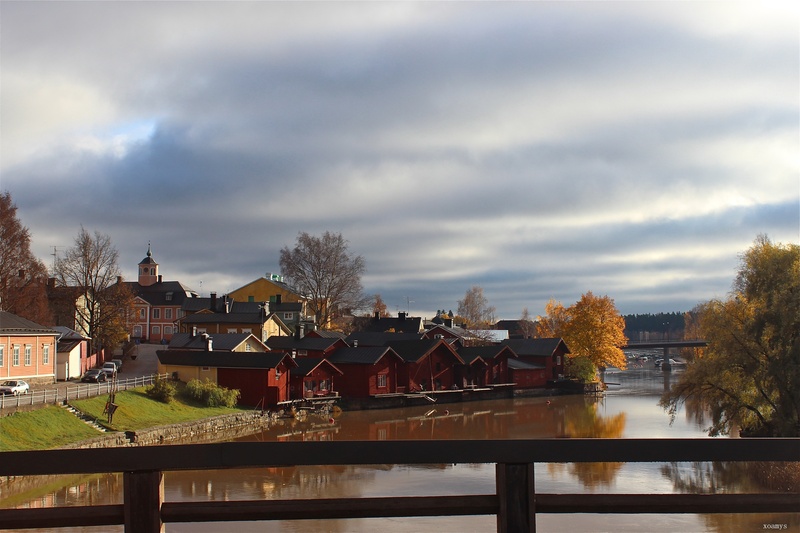 A flashback to the old town of Porvoo from last fall. Look at the amazing autumn colours and the clear reflextion from the water, simply stunning! There was a stillness in the air, a calmness before the storm, as they say and that’s exactly what we got right when we left! 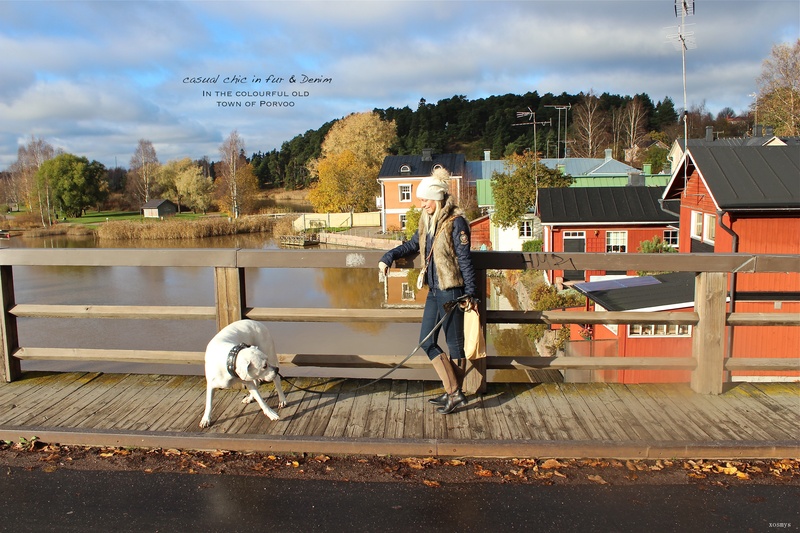 Mr. N and I were on a sunday evening stroll in this little town, the air was already a bit chilly so I’m dressed in layers. The fur vest is a great addition over the quilted jacket. The riding style boots and gloves were weather appropriate while giving a bit of that equestrian flair. / Asukuva viime syksyltä Porvoosta. Olimme sunnuntai kävelyllä ja ilma oli raikas ja viileä. Myrsky oli tulossa..sen aavistimme, mutta miten kaunista silloin olikaan! Minulla oli rennot farkut ja tikkitakki, minkä päällä on karvaliivi. Iso rento myssy ja olo oli mukava ja sopivan rento.